Vaishnava C.A.R.E. Seminar ~ The Toronto Hare Krishna Temple! Srila Prabhupada displayed the most caring, loving, compassionate and personal qualities! This seminar will be presented by Her Grace Sangita devi dasi, a senior Prabhupada disciple from the U.S. Her grace is a very knowledgeable registered and hospice nurse with many years of medical and spiritual experience. She is also the founder of ISKCON's Vaishnava's C.A.R.E (Counselling, Assistance, Resource and Education for the Terminally Ill and Family) and author of The Final Journey, the most practical guide on passing away of a devotee. 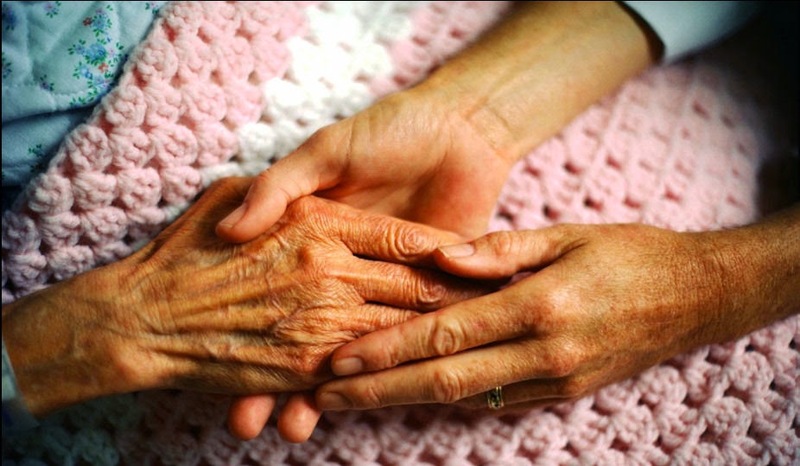 What is End-of-Life Spiritual Pain? Registration is mandatory; please sign up here. Suggested donations are to be determined. 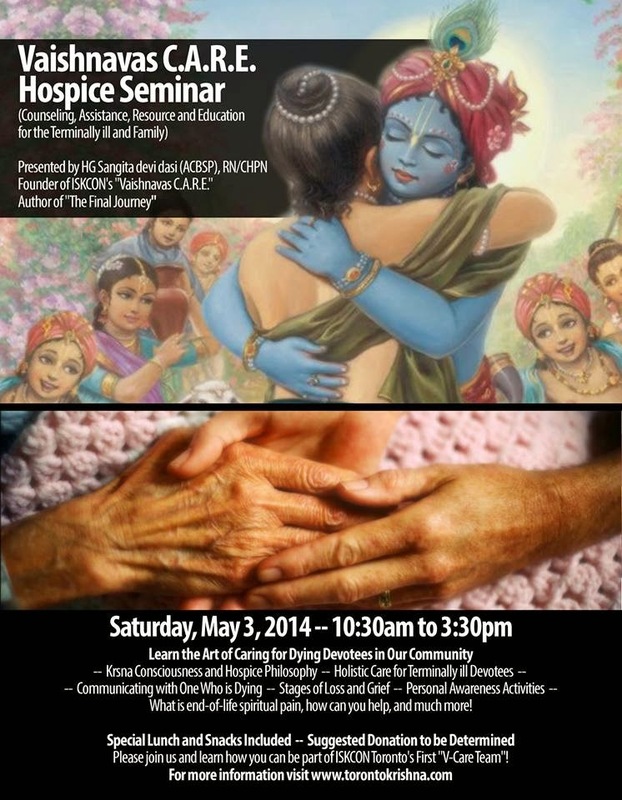 Please join us and learn how you can be part of ISKCON Toronto's first V-Care team.